Syria’s foreign minister has dismissed allegations that the Syrian Army had deployed chemical weapons in the city of Idlib, saying the military will never use such weapons against its own people or even terrorists. 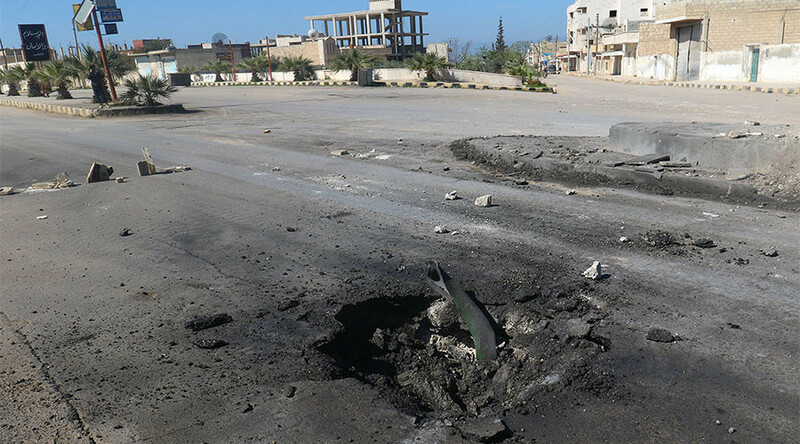 Syrian Foreign Minister Walid Muallem denied claims that the military used chemical weapons in the western city of Idlib. Speaking at a news conference on Thursday, Muallem said an airstrike by Syrian military had targeted an arms depot where chemical weapons stockpiles were stored by Islamic State (IS, formerly ISIS/ISIL) and Al-Nusra Front militants. Asked if Damascus would allow a fact-finding mission into the Idlib incident, Muallem said past experience of similar investigations was “not encouraging.” He also said that he could not predict “the reality of US intentions” in Syria. Muallem added that such a mission must not be politicized and must start its operations “from Damascus, not Turkey,” apparently referring to the latest statements by Ankara condemning the incident, as well as the fact that some victims were taken to Turkey for autopsy. Meanwhile, Dmitry Peskov, spokesman for the Russian president, said the Kremlin believes the Syrian military will do its utmost to prevent chemical agents from falling into the hands of terrorists. “This was indeed a dangerous and monstrous crime, but in our opinion, it would be wrong to point fingers,” Peskov told reporters on Thursday. The Kremlin spokesman said Moscow does not agree with assessments provided by certain Western countries. “Immediately after the tragedy no one had access to this area, so no one could have hard verifiable data. Consequently, any information which the US side or our colleagues from other countries might have had access to, could not be based on objective facts,” Peskov told reporters. This entry was posted on jeudi 6 avril 2017 at 07 h 31 and is filed under Deep State. You can follow any responses to this entry through the RSS 2.0. You can leave a response.